 Skin is the largest and most important organ that is the protective covering of your body. That is why you should keep it as healthy as you can. This will help you keep from getting sick or having damage to your bones, muscles, and internal organs. Nails should appear smooth and consistent in color. Changes in color, texture, consistency, or growth rate can be signs of fungal or bacterial infection, autoimmune disease, psoriasis, diseases of the lung, heart, kidney, or liver, as well as diabetes and anemia, and even skin cancer. General Dermatology is a comprehensive medical science that consists of diagnosing conditions of the skin, hair, and nails. We take a comprehensive approach to treating a variety of conditions. Our goal is to help each of our patients achieve healthy, beautiful skin through surveillance, treatment and proper skin care. Hair and nails are a natural extension of the skin and play an essential role in protecting the body from external factors in the environment. Being aware of any drastic changes to either the hair or nails is extremely important because it can be an indicator that something else is going on in the body. Often, patients do not realize that dermatologists also treat hair and nails. In fact, the examination of the hair and nails is part of a complete skin exam. Acne is a skin condition that can affect the face, the upper chest, and the back, most commonly during adolescence. In some people, however, acne persists well into adulthood. The condition causes inflamed red bumps, whiteheads and blackheads, commonly referred to as pimples or zits, to erupt on the surface of the skin. Early treatment of acne is important to prevent scarring of the skin and to provide the emotional and social benefits of smooth, unblemished skin. In some cases, self-care using a mild soap or face wash is enough to clear up acne, and in other cases, over the counter medication is effective. In some stubborn cases, your physician may recommend prescription topical and oral medications and procedures, such as Isolaz Therapy or Photodynamic Therapy. An actinic keratosis (AK), also known as a solar keratosis, is a crusty, scaly growth caused by damage from exposure to ultraviolet (UV) radiation. You'll often see the plural, “keratoses,” because there is seldom just one. Though the vast majority of actinic keratoses remain benign, they reveal that you have sustained sun damage and could develop any kind of skin cancer, especially the second most common form of the disease, squamous cell carcinoma (SCC). If you have one AK, you may develop others. The more AKs that remain untreated, and the older these lesions are, the greater the chance that one or more may become an SCC. AKs can be treated by Photodynamic Therapy. These pesky brown or gray spots known as solar lentigines aren’t really caused by aging, though they do become more common as you get older. You get them from exposure to sunlight, which is why they tend to appear on your face, hands, and arms. Alopecia is a condition that causes a person’s hair to fall out. It is an autoimmune disease; that is, the person’s immune system attacks their own body. In this case, their hair follicles. When this happens, the person’s hair begins to fall out, often in clumps the size and shape of a quarter.  The extent of the hair loss varies; in some cases, it is only in a few spots. In others, the hair loss can be greater. There is no cure for alopecia. But hair often re-grows on its own and treatments such as steroids, oral and topical medications can help the hair re-grow more quickly. See our treatment options here. A boil (abscess) is a skin infection that starts in a hair follicle or oil gland. At first, the skin turns red in the area of the infection, and a tender lump develops. After four to seven days, the lump starts turning white as pus collects under the skin. The most common places for boils to appear are on the face, neck, armpits, shoulders, and buttocks. When one forms on the eyelid, it is called a sty (chalazion). If several boils appear in a group, this is a more serious type of infection called a carbuncle. The herpes simplex virus causes small, painful, fluid-filled blisters on your mouth or nose. Cold sores last about 10 days and easily spread from person to person. Triggers include fever, too much sun, stress, and hormonal changes like periods. You can treat cold sores with antiviral pills or creams. Dandruff or Seborrheic dermatitis is a skin condition that it is characterized by a red and scaly, flaky scalp. It occurs most commonly in infants, middle-aged adults and seniors, particularly in those who have oily skin or hair. Seborrheic dermatitis also occurs in some patients with diseases of the immune or nervous systems. While there is no cure for this chronic condition, seborrheic dermatitis can usually be controlled by medicated shampoos or topical creams. If your dermatologist makes a diagnosis of seborrheic dermatitis, he or she may recommend that you try these treatment options to treat the symptoms that accompany the disorder. Eczema is a blanket term for several non-contagious conditions that cause inflamed, red, dry, and itchy skin. Doctors aren’t sure what makes eczema start in the first place, but they do know that stress, irritants (like soaps), allergens, and climate can trigger flares. In adults, it often appears on the elbows, hands, and in skin folds. Several medications treat eczema. Some are spread over the skin, and others are taken by mouth or as a shot. There is no cure for eczema, but, in most cases, it is manageable through treatments like oral medications, steroid creams and light therapy. Hives (urticaria) look like welts and can itch, sting or burn. They vary in size and sometimes join together. They may appear on any part of you and last anywhere from minutes to days. Causes include extreme temperatures, infections like strep throat, and allergies to medications, foods, and food additives. Antihistamines and skin creams can help. Each patient should have a work up to establish potential causes or triggers. Hyperhidrosis, or excessive sweating, is a common disorder which produces a lot of unhappiness. An estimated 2%-3% of Americans suffer from excessive sweating of the underarms (axillary hyperhidrosis) or of the palms and soles of the feet (palmoplantar hyperhidrosis). Although neurologic, endocrine, infectious, and other systemic diseases can sometimes cause hyperhidrosis, most cases occur in people who are otherwise healthy. Heat and emotions may trigger hyperhidrosis in some, but many who suffer from hyperhidrosis sweat nearly all their waking hours, regardless of their mood or the weather. Melasma is tan or brown patches on your cheeks, nose, forehead, and chin. It’s often called the “pregnancy mask” because it happens in half of all pregnant women. Men can get it, too. If it doesn’t go away on its own after the baby comes, you can treat it with prescription creams and over-the-counter products. Sunlight makes it worse, so always use a broad-spectrum SPF 30 sunscreen. In some cases, we treat melasma with laser technology, such as our Halo and Spectra lasers. Moles (nevi), which are usually brown or black, can be anywhere on the body. They might show up alone or in groups and generally appear before age 20. Some moles change slowly over the years. They can go from flat to raised, grow hair, or change color. Get your moles checked once a year by a board-certified dermatologist. Pay close attention to any that change, have irregular borders, have an unusual or uneven color, bleed, or itch. Dermatologists recommend that patients use the ABCDE system for checking your moles. Learn more about skin cancer screening here. Nail fungus is a common condition that begins as a white or yellow spot under the tip of your fingernail or toenail. As the fungal infection goes deeper, nail fungus may cause your nail to discolor, thicken and crumble at the edge. It can affect several nails. If your condition is mild and not bothering you, you may not need treatment.  If your nail fungus is painful and has caused thickened nails, care steps and medications may help. But even if treatment is successful, nail fungus often comes back. Nail fungus is also called onychomycosis (on-ih-koh-my-KOH-sis). When fungus infects the areas between your toes and the skin of your feet, it's called athlete's foot (tinea pedis). Most people have uneven skin color, regardless of race or ethnic background. In some cases, large areas of the skin appear lighter or darker than normal. Other people have brown, grey or freckled patches of skin. While these types of skin disorders are usually not a threat to health, they should be evaluated at your regular dermatological checkup. A number of treatments are available to lighten & brighten the skin and reduce a “blotchy” appearance including pharmaceutical grade products and chemical peels and photo facials. If you notice significant patches or areas of uneven coloring on your skin, the staff at Dermatology Consultants can help. Your skilled provider will conduct a thorough evaluation to determine the cause of the condition, if possible, and put together a course of treatment that is ideal for your specific case. Psoriasis is a common, chronic skin condition that can lead to lasting damage and potential disfigurement. Caused by a disorder in the body’s autoimmune system, psoriasis typically causes the skin to turn red and scaly, resulting in discomfort and irritation. While there is no cure for the underlying disorder, there are effective treatments for the skin itself. If your Dermatology Consultants provider makes a psoriasis diagnosis, he or she will recommend a course of treatment that may involve topical medications, systemic medications, phototherapy and lasers like XTRAC. A rash is a change in the skin due to skin irritation. Most rashes go away on their own or require only minor treatment. Some rashes may need medical attention. Some rash symptoms are redness, itching, bumps, redness, and swelling. Some causes of rashes are allergic reactions; reactions to medications; plants such as poison ivy; or irritation due to jewelry, chemicals, or makeup. Rashes are also sometimes symptoms of another condition, as with impetigo or scabies. Treatments vary based on the cause, but many can be treated with medications. Sometimes known as “adult acne,” rosacea is a chronic skin disease that causes redness, bumps or pimples and soreness in the eyes and eyelids. In many cases, it may closely resemble acne. Rosacea is most common in people with fair skin with a history of blushing, and appears to run in families. Certain foods and alcohol, exposure to sun and wind or changes in weather can trigger rosacea flare-ups. While there is no known cure for rosacea, the symptoms can be managed. Avoiding exposure to the sun and activity in hot weather can help sufferers minimize symptoms, as can limiting stress, spicy food, alcohol and hot beverages. Laser treatments, topical and systemic medications are the primary method of treating rosacea. These treatments can reduce the redness associated with the condition and improve a patient’s overall appearance. Your doctor at Dermatology Consultants can determine what treatment is best for you. Seborrheic keratosis is a benign skin growth usually found in older adults on the face, chest, shoulders or back. It may appear as a brown, black or pale growth and have a waxy, scaly appearance. These growths may look like skin cancer and should be evaluated at your regular checkup. They can usually be removed easily and painlessly to improve the skin’s appearance and avoid irritation from clothing. Treatments can also include topical solutions like Eskata. A rash of raised dots that turns into painful blisters, shingles causes your skin to burn, itch, tingle, or become very sensitive. Shingles often show up on your trunk and buttocks, but can appear anywhere. An outbreak lasts about two weeks. You’ll recover, but pain, numbness, and itching might linger for months, years, or even the rest of your life. Treatment includes creams for your skin, antiviral drugs and steroids. Skin cancer is a very serious condition that affects millions of Americans each and every year. It can develop in men and women of all ages, and is the most common form of cancer in the United States. Studies show that one in five Americans will develop skin cancer during their lifetime. At Dermatology Consultants, our skilled dermatologists will examine your skin for suspicious moles or lesions, and take samples, if necessary, to be checked by a pathologist. If we detect the three forms of skin cancer – basal cell, squamous cell or melonoma – the dangerous cells can be removed. Learn more about skin cancer treatments and screenings here. This small flap of flesh-colored or slightly darker tissue hangs off your skin by a stalk. They’re usually found on the neck, chest, back, armpits, under the breasts, or in the groin area. Skin tags appear most often on women and elderly people. They aren’t dangerous and usually don’t cause pain unless they become irritated when clothing or nearby skin rubs against them. A dermatologist can cut, freeze, or burn them off. A staph infection is caused by a Staphylococcus (or “staph”) bacteria. The infection often begins with a little cut, which gets infected with bacteria. This can look like honey-yellow crusting on the skin. These staph infections range from a simple boil to antibiotic-resistant infections to flesh-eating infections. The difference between all these is the strength of the infection, how deep it goes, how fast it spreads, and how treatable it is with antibiotics. One type of staph infection that involves skin is called cellulitis and affects the skin’s deeper layers. It is treatable with antibiotics. This type of infection is very common in the general population – and more common and more severe in people with weak immune systems. People who have diabetes or weakened immunity are particularly prone to developing cellulitis. Sun gives off ultraviolet (UV) light that damages your skin and causes sunburn. Over time, these rays can lead to wrinkles, dark spots, and other problem areas. The result: You can add years to your looks. Research shows that UV exposure is the reason behind 80% of your skin’s aging. Fortunately, experts are shedding light on ways you can reverse some problems caused by the sun. It’s not possible to erase all of the damage, but there are some steps you can take for these common conditions, including some Lasers and Light Therapies. Sunburns happen when there’s damage to the DNA in your skin cells. By the time your skin turns pink and painful, most of the harm is already done. Over time, these injuries add up and lead to physical changes like wrinkles and skin cancer. While there are plenty of things you can do to ease the pain, there are only a few ways you can counteract the damage before it’s there for good. Wear sunscreen – and reapply every 2 hours – and try to stick to the shade. You’ll protect yourself from future UV radiation and give your skin’s enzymes time to repair some of the damaged DNA. Vitiligo is a chronic condition that causes the skin to lose pigment in patches, usually on the face, hands and wrists. In many cases, the patches will enlarge or change shape. The affected skin tends to feel normal and appear either suddenly or gradually. While researchers have not identified the cause of vitiligo, light treatments, like XTRAC, and topical medications can be effective in reducing the affected areas and improving the overall coloration of the skin. If your dermatologist determines that you suffer from vitiligo, he or she may try a number of treatments to discover which will best combat your symptoms. In most cases, common warts appear on the fingers or hands. They’re caused by the human papillomavirus. Warts spread when you touch something used by a person with the virus. They’re usually harmless and painless. You can treat them with topical medications, or a dermatologist can treat them with topical medications and or freeze them. Some may require more advanced treatment options.